I remember being a kid and falling in love with the Dungeons and Dragons choose your own adventure books. The ability to jump from one section to another, weaving my own personalized adventure was all consuming. When I was done slaying the dragon or being devoured by a Behemoth, I could start back at the beginning for a completely new dungeoneering adventure. It was an exhilarating experience and a trend that was, unfortunately, short lived. This idea of an editable narrative is one that we don’t encounter very often outside the realm of video games–and it’s a shame. Having the option of choice in our media can heighten and enrich our interaction–providing a near limitless range of experiences. Take video for example, it delights and captures our attention through the process of motion and storytelling. Yet, for all its allure, it remains a largely rigid form of media. It’s unidirectional nature provides entertaining visual output, but has traditionally provided no real form of input or choice. The video is simply a static narrative capable of being entertaining, but limited in its scope. Yoni Bloch and his company Interlude are in the process of changing all of that. They have pioneered a groundbreaking new interactive approach to video that allows for an enhanced, diverse method of storytelling by putting the narrative in the hands of the viewer. The result is a completely customizable video experience that engages not once, but over and over, as the viewer interacts with the video in a variety of ways. 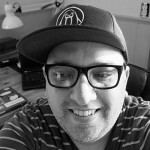 We asked Yoni to talk with us a bit about Interlude’s work; his free authoring tool, treehouse; and the future of video. Did MTV or music videos in general influence your forays into interactivity? We started what eventually became Interlude by creating an interactive music video for ourselves, so music videos are definitely a big part of Interlude’s history and DNA. We consider music videos to be one of the most creative types of media – enabling an ideal mix of creativity, storytelling & rhythm, all of that within the confines of short-form content. That’s one of the main reasons why music videos are so important to us, and have been a huge influence for some of our flagship collaborations, from Bob Dylan’s “Like a Rolling Stone”, to “Ink” from Coldplay and many more. Tell us about Treehouse and your vision of what it will enable bands to do? We believe we’ve just started to scratch the surface; the possibilities interlude brings to musicians, video directors, producers and writers are endless and open a completely new way of thinking about video as a medium. Even today we see Treehouse, our free authoring tool that anybody can use to produce their own interactive videos, being used creatively in ways we wouldn’t imagine. As we shift toward building our own entertainment offering, we plan to grow the array of tools and support we offer to creators. There are some pretty creative people out there, and we want to empower them as much as possible and see what comes out of it. 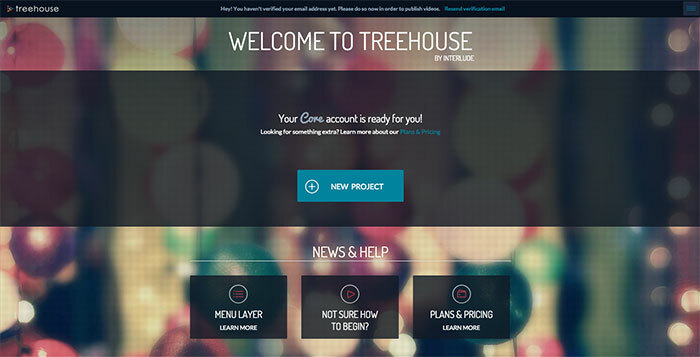 Treehouse allows users to create their own interactive videos. Do you see the intersection of interactivity and video as an essential and if so, why? Making videos dynamic and interactive is not only essential, it’s long overdue. The internet completely changed how we consume and interact with almost every kind of media, but the essence of video still largely remained exactly what it used to be before the internet came; instead of being dynamic and hyper like the web, personalized like social networks, and responsive like games – videos are still linear. Yes – they are on demand, they do play on all platforms, and they come in all shapes and sizes, yet they are a linear and passive experience. Today we’ve learned to expect much more from just about anything around us, and this is why we’re re-imagining the core of what video experience can (and should) be if the first video camera was invented today. How will interactive video change and enhance the way we tell stories? 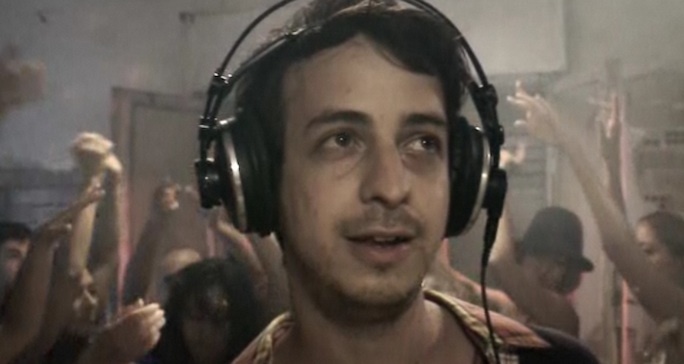 In a linear video, you follow the story that someone chose for you. There could have been different paths, better outcomes and crazier developments, you’ll just never know. Interactivity adds new layers to a story, opening the door to that fundamental question: What if? An interactive video is a very stimulating experience, where viewers feel enticed to explore and discover how the narrative will change based on their input. Effectively, they become co-creators of a very unique version of that particular story, making the whole watching experience more personal than ever. 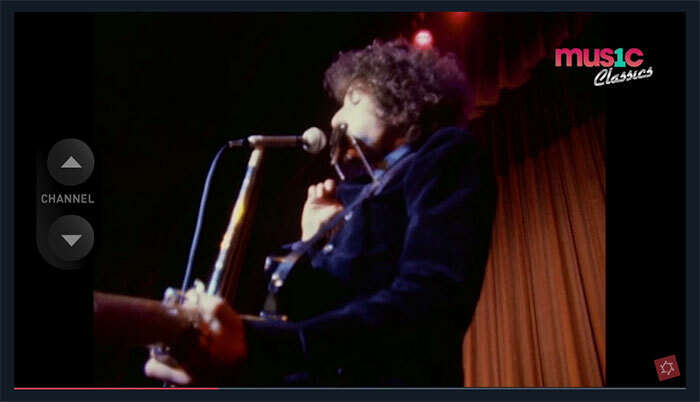 Interactive video for Bob Dylan’s, “Like a Rolling Stone”. What do you see as the future of video? Online video is changing rapidly, and I expect people’s expectations will change just as quickly. Four years ago there were very few interactive videos; now you stumble upon one almost every day. Creators have started to think interactively and are crafting experiences that take advantage of the interactive nature of mobile and tablets devices. In the future I have in mind, and I am thinking a year from now, not ten, viewers expect to be able to interact with videos. Then, linear videos will be what black and white TV is today: something from the past that we can’t believe used to be the only option. Yoni Bloch will be speaking at WebVisions Portland (May 18-20), Barcelona (July 7-9) and Chicago (Sept. 23-25). His session, Bob Dylan and the Interactive Future of Storytelling, will look at the future of interactive video, film, and music.